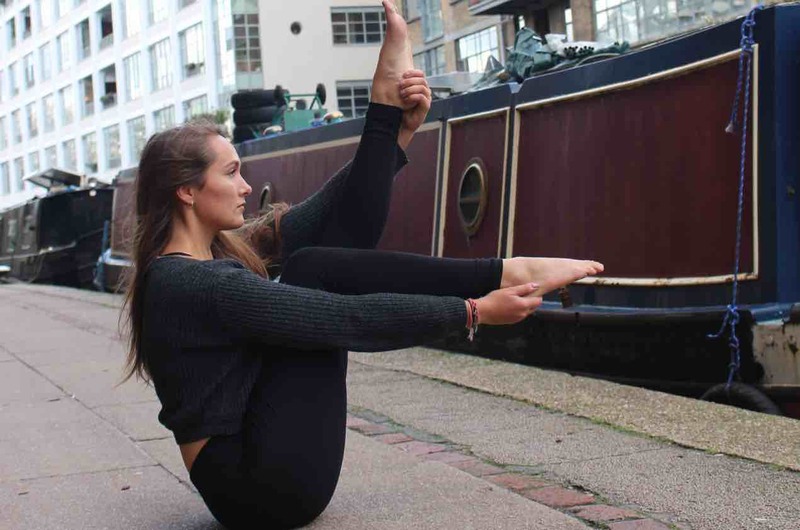 Lily is a passionate yogi whose classes are playful, powerful, and from the heart. Students will work up a sweat and experiment with new postures in Lily‘s class. AM Power Yoga© 2019 All Rights Reserved. Our private pilates at home sessions are tailor made for you – helping you to strengthen core and improve posture. Our fully qualified and insured instructors will come to your home or office (or to a park if the weather is nice) for your private pilates session. Regular Pilates sessions can help to improve posture, particularly if we have a desk job where we spend hours sitting in front of a computer, often with a wrong posture. Pilates can also help strengthen core which forms the basis of a number of exercises running, skiing or swimming. The biggest advantage of a private pilates at home session is that its targeted to your level of flexibility and fitness. Sometimes it can be daunting to go to a Pilates class where everyone seems to a fit and a seasoned practitioner but the pace of class maybe just too much for you. So why not try a private Pilates session where the pace and the level of difficulty is just right for you. Our instructors are flexible and will come to you at a time that suits you. Whether its early in the morning, or after work or on the weekends, we cater to different client schedules. And if you fancy a session that fits around your kids school times, we have that covered too! Private Pilates sessions don’t have to costly! Thats why we have a flexible package that the per session cost is the same whether its 1 or 3 people. So you can team up with your friends or partner and it’ll cost just £20 per person! Our private yoga at home sessions are tailor made for you – helping you to improve flexibility, gain strength and improve posture. Our fully qualified and insured instructors will come to your home or office (or to a park if the weather is nice) for your private yoga session. The biggest advantage of a private yoga session is that its targeted to your level of flexibility and fitness. 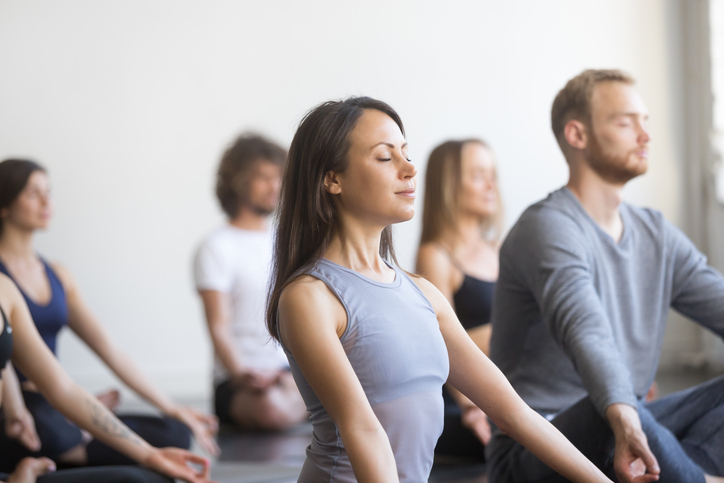 Sometimes it can be daunting to go to a Yoga class where everyone seems to a fit and a seasoned practitioner but the pace of class maybe just too much for you. So why not try a private yoga session where the pace and the level of difficulty is just right for you. Private Yoga sessions don’t have to costly! Thats why we have a flexible package that the per session cost is the same whether its 1 or 3 people. So you can team up with your friends or partner and it’ll cost just £20 per person! Why not enjoy yoga and meditation at your office at a time that suits you! Our qualified and insured trainers would come to your office. All you need is a meeting room!! Prices start from £65 (plus VAT) a session. And mail contact@ampoweryoga.co.uk with your last name and package purchased. Dynamic Pilates aim to strengthen the core and muscles in the waist and the lower back area, which support the rest of the body. As the name suggests, Dynamic Pilates is a more vigorous form of Pilates aimed to tone the muscles, increase strength, burn calories and help to lose weight. Dynamic Pilates combines exercise and stretching into a series of controlled movements which improves flexibility and posture and helps to prevent or reduce injury. Align and Refine flow is a slower form of yoga where the postures are held for slightly longer allowing deep opening and stretching of the muscles. The Yoga session stretches and tones the muscles, improves blood circulation and helps to reduce stress. The perfect workout after a hectic day at work. Align and Refine Flow is perfect for office goers whose work involves sitting for long hours. It helps to improve posture and balance the muscle tones. Rocket Yoga is a fast-paced Yoga with its roots in Ashtanga Yoga. A Rocket Yoga session would typically consist of warm up with surya namaskar, followed by a series of standing and seated asanas and ending with Savasana. The teacher could modify the traditional asanas to make the sequences more challenging. The session is fast paced and energetic helping you to stretch and tone the muscles and burn calories. Rocket Yoga is suited for regular Yoga practitioners seeking to burn calories and as well as tone the muscles. Want a stronger core and flat stomach! Try our Hot Yoga Abs class with Yoga movements focussed on legs, bums and abs. The class combines dynamic fluid movements to burn calories and a sequence of asanas to tone the muscles in the core, upper legs and bum area. Combining dynamic focussed asanas with correct breathing techniques is a fun way to loose weight and get the flat stomach you always wanted! Vinyasa Yoga is more dynamic and vigorous form of Yoga as students move from one pose or asana to another. The movements are fluid in nature linking Yoga poses with correct breathing techniques. A yoga class would provide a full body workout focussing on the key muscles of the body. Performing Yoga in a heated environment increases the calorie burn rate and helps to elongate and strengthen the muscles. It improves blood circulation and aids in weight loss. Vinyasa Yoga is suitable for all levels. The asanas as well as the pace of the class can be modified to focus on either beginners, intermediate or advanced levels. As it is a fast paced workout, Vinyasa yoga is becoming increasing popular with clients seeking to burn calories and tone muscles in addition to adding flexibility and strength.